It wasn’t all that long ago that people speaking into devices to tell machines what to do was the stuff of science fiction (who can forget Captain Kirk speaking to his ship’s computer on Star Trek?). When it became reality, speech recognition technology quickly changed much in our world. In healthcare, for instance, speech recognition has significantly improved clinicians’ reporting accuracy and productivity. Physicians can now simply speak a patient’s story into the hospital’s electronic health record (EHR) and that information, now more secure and accurate, can be quickly shared among caregivers who, as a result, can make better clinical decisions and deliver a higher level of care. It’s not just healthcare; speech recognition allows police officers to spend less time creating paperwork and more time protecting citizens. Perhaps best of all are the examples of how the technology has helped people without limbs realize their dreams of being authors, poets and artists, allowing them to simply speak into a microphone what they would otherwise type on a keyboard. The list goes on and on. For the consumer, speech technology is now used every day as we all ask Siri or Alexa for information about…well, about pretty much anything you can think of. And a new generation of consumer is now searching the internet more and more via voice activation rather than text commands, and there are definitely benefits to be enjoyed. But while being able to more quickly and easily search for things will help people be more efficient and productive, voice-activated search does raise some interesting questions for companies who may have begun to relax, thinking that their SEO strategy was in a good place. Maybe yours is, but if you haven’t already taken a fresh look at your approach to SEO and optimized your strategies for voice, it might make sense to do so now. A great place to start is with your content. 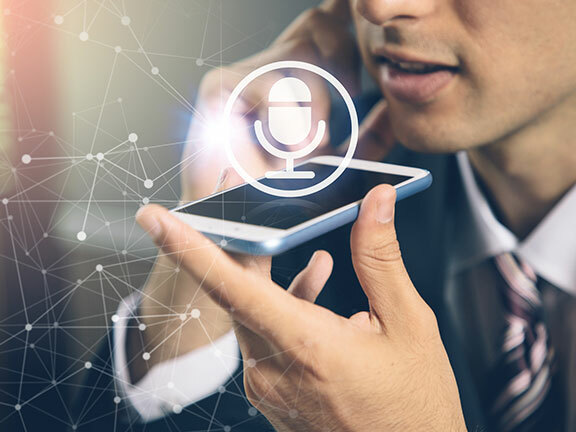 Voice-activated searches are usually shorter than text and often in the form of questions and those using voice typically want answers quickly. So your content may need to be revised to be more conversational in tone so that it answers those questions, while still appealing to those searching via text. Yes, we know not necessarily a simple task. It’s also a good idea to create web pages with FAQs. Again, voice-activated searchers often use questions, so why not optimize your site with the answers, written conversationally with voice search in mind. There’s more to consider, but we’ll save that for another blog. Text search isn’t going anywhere, but voice is definitely going to become more popular in the coming months and years. If you think you need to revamp or readjust your strategy, we’d be happy to help. Get in touch with us anytime.